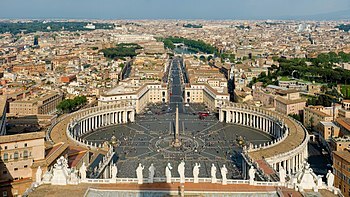 The Vatican City is the world’s smallest independent state and occupies 109 acres. It has been a sovereign state since 1929 and is ruled by the Pope. 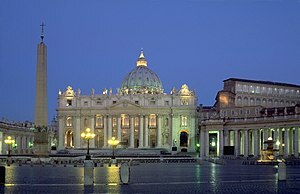 The Vatican is the residence of the spiritual leadership of the Roman Catholic Church. Its territory is surrounded by the Italian capital city Rome. Priests and nuns make up most of the population. The Vatican City is a small remnant of the former Papal States of central Italy. These Papal States were conquered by the forces of Italian unification in the mid-19th century. At that time, the popes became “prisoners in the Vatican”. They were unwilling to leave the confines of the Apostolic Palace until 1929. Finally, the Italian Fascist government negotiated the Lateran Treaty that created the current mini-state. Francis, the current pope is the first Latin American to be elected to the position. Formerly archbishop of Buenos Aires, Jorge Mario Bergoglio was chosen to succeed Pope Benedict XVI, who reigned from 2005 until 2013. The Vatican City itself packs many imposing buildings into its small area: St Peter’s Basilica (completed in the early 17th century) and the Vatican Museums and Art Galleries that are repositories of the priceless art collections of the popes. Pilgrims travel from all over the world to gather in St Peter’s Square for various ceremonies, such as this beatification of Pope John Paul II in May 2011. Magnificent works of art are housed in the Holy City. 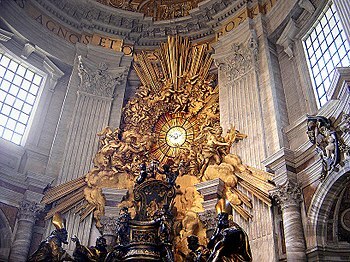 Rome’s grand churches were built in the following order: Romanesque, Gothic, Baroque and Neo-Classical. Most of the exquisite Baroque monuments and buildings were erected during the 16th and 17th centuries. Many ancient churches have received newer facades. 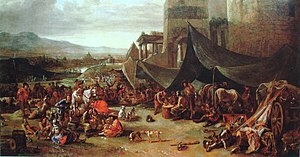 On May 6, 1527, the Sack of Rome was perpetrated by German Lutheran and Spanish Catholic troops who resented the wealth of the papacy. The soldiers entered the Vatican as Pope Clement VII was saying a mass in the Sistine Chapel. Swiss Guards were being slaughtered in St. Peter’s Square and the pope was brought to safety in Castel Sant’Angelo. The Roman Emperor Constantine (306-337 AD) joined the Christians and before he moved to Constantinople he built several churches in Rome. San Giovanni in Laterano, St. Peter’s Basilica and San Lorenzo Fuori le Mura were all built during Constantine’s reign. 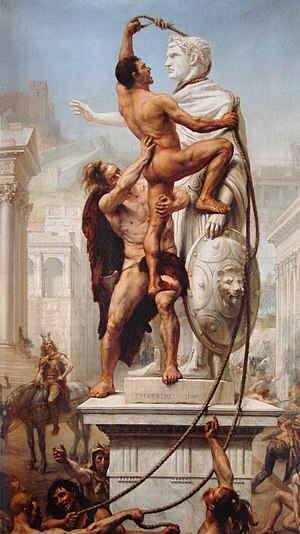 Talent and leadership abandoned the newly divided empire and successive waves of Barbarians invaded Rome including the Visigoths, Vandals and the Ostrogoths. By 800 AD, Emperor Charlemagne asserted papal authority and launched another power struggle between the Church and imperial authority. By 1309, the pope moved to the safety of Avignon. Rome’s imperial legacy lived on in the Catholic Church where Roman senators became bishops, scholars became monks, and philosophers became theologians. The pope or high priest adopted the title originally held by the emperor; “Pontifex Maximus.” Look for this word in the Latin inscriptions in Rome. The grandeur of church rituals is reminiscent of the glory days of Julius Caesar. The papacy’s supremacy returned to Rome in 1377. In the 1500’s, a glorious rebirth of Rome flourished when the popes invited the most talented architects, painters and sculptors to rebuild Rome’s grandeur during the Renaissance. 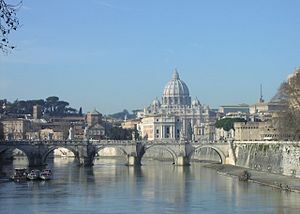 On April 18, 1506 Pope Julius II (Giuliano Della Rovere) laid the cornerstone for the new Basilica of Saint Peter. Saint Peter’s magnificent basilica was built above the site where Peter the Apostlewas crucified, martyred and buried in the year 64. 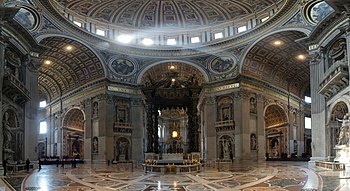 In 1506, Bramante was commissioned by Pope Julius II to renovate St. Peter’s Basilica, originally built by Constantine from 324-329. 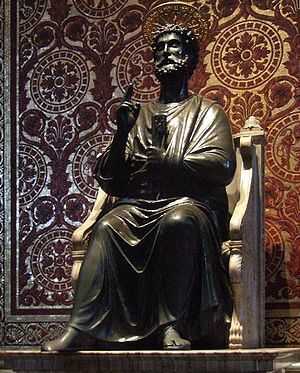 Emperor Constantine built a glorious crown for St. Peter’s tomb over the site where his bones were preserved. 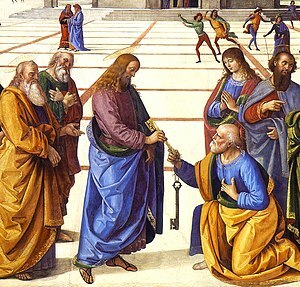 St. Peter was the first apostle and the first pope. Since Rome is a place of pilgrimage, a “Scave Tour” is available with advanced reservations and allows you to visit the tomb of St. Peter and the archeological excavations beneath the basilica. Travel from the Baroque church to the Romanesque sanctuary to the Roman cemetery and tomb of Peter the Apostle. The crypt is located under the Papal Altar.